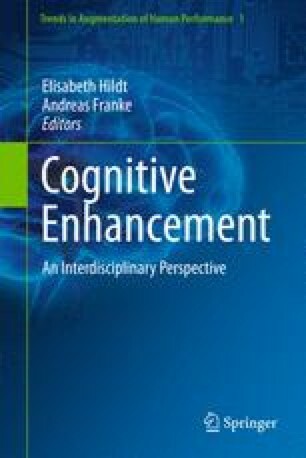 In this chapter, I propose the mechanism of cognitive enhancement based on studies of cognitive-enhancing drugs and behavioral training. I argue that there are mechanistic differences between cognitive-enhancing drugs and behavioral training due to their different enhancing effects. I also suggest possible mechanisms for cognitive-enhancing drugs and behavioral training and for the synergistic effects of their simultaneous application. In preparing the present version of this chapter I benefited from the written comments from Elisabeth Hildt, Sheila Madary, and Andreas G. Franke, and comments and suggestions from the participants in the conference on cognitive enhancement in Mainz, Germany, February 2011. I am grateful to the German Federal Ministry of Education and Research for supporting the trip to the conference and the preparation of this chapter.